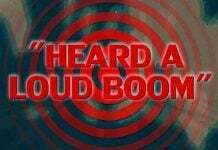 Did you also hear the loud boom and rumblings around Evansville? Well, it annoyed and baffled hundreds of residents in the area! 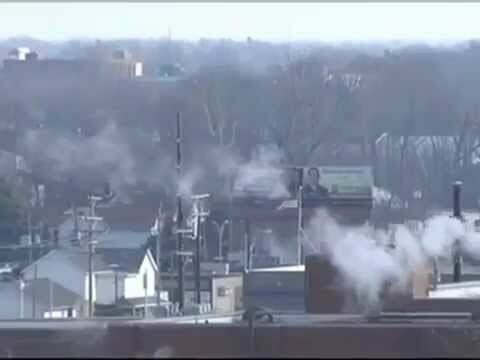 January 09 2013 – Evansville, Indiana. Many heard some booming sounds overnight in Evansville at around 9:30 P.M., the area near Green River and Lynch. At the same time, people all around the country also heard this explosion exactly at the same time (coincidence?) All remain unexplained. The weird explosion was similar to an exploding bomb and were very disturbing for many residents. The seismographs of the USGS do not indicate any activity in the area. A mine in the district could have had produced this explosion. However, they are not allowed to blast from dusk until dawn. The Air Force did not practice yesterday. So everything points to a mystery, the explosion mystery. 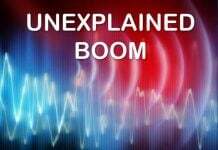 It is interesting to note that yesterday, these unexplained booms were also reported in Arizona, California, Wyoming and Rhode Island so from across the country. They all remain a mystery. Have heard this as well as many others. Do you have any information on what may have caused these sounds on several occasions? Thanks. 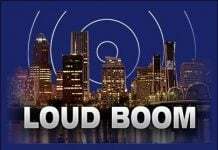 Well, as you I do not know the source of these booms. An interesting mystery. The cause of the Evansville (but that of other noises) is not an earthquake since USGS did not detect anything. Maybe a meteor strike, but people would have had also reported something in the sky (like a light or a fire ball) acoompanying the noise. Maybe a loud groan of the Earth? HAARP? Well as you see I only guess and I am sure of nothing! But I think we have to stay rational. The cause of these sounds is not an alien invasion! I hope I could help you. Microquakes can also be a cause. These are quakes with magnitude lower than 2.5. These cannot be recorded by seismographs. Sesmic sounds due to movement of earth crust? Is the “stuck” area near the plate..moving? There were large earth cracks also found in Argentina..suddenly appeared. Kind of like Wisconis’s cracks in the earth and movement. So experts here..what gives..? Just a comment..in ancient history..(like the story of Moses)..the complaint of people in egypt (outside of all the plagues)..was the terrible noise from the earth…. and draw your own inclusions. thank you for your time. I thought this was the snow on my roof cracking and sliding on Monday night and then last night (Tuesday) at around 11pm I heard it again. This time it was the same sound but it seemed a little off in the distance. that’s crazy Roy, I live about fifteen minutes south of Salt Lake City Utah, and I heard that same “explosion” I thought was an earthquake at the EXACT same time!! You say it happened at eleven your time? that is nine my time! I heard the sound at approximately 9:05 pm. That is one quick aircraft!!! You noted the loud booms in Indianapolis on the 7th at a little past midnight. There were also reports of an explosive sound in Evansville on the 7th at that exact time. This was all over the radio this morning here in California. Several people reported hearing the noise near North hollywooud/Studio City area and all said at the same time 9:30 p.m. On the radio they said it was all over twitter too! Very Curious. What is going on many callers said it sounded like a Sonic Boom. Guys, I know that SABIC uses an air cannon to scare off the crows. This is normal for many industrial facilities, Alcoa. There also is law prohibiting them from firing them all hours of the night. When they see crows they can fire them. Those propane cannons at SABIC are not loud enough to be heard for miles. Ive been there when they set them off. I live in Jasper and was working at home one morning about 1-1/2 months ago. It was probably 9:30 a.m. I heard a huge explosion that sounded like it was behind my house. I immediately called the police and fully expected to look out and see a neighbor’s house flattened. Nothing. Clear beautiful morning. No other calls to police with similar reports. Heard nothing more about it. I felt foolish. THESE LOUD BOOM NOISES WHERE ALSO IN BRISTOL IND AND ALONG WITH SHAKING. THE POLICE WAS CALLED AND THEY KNEW NOTHING ABOUT IT.